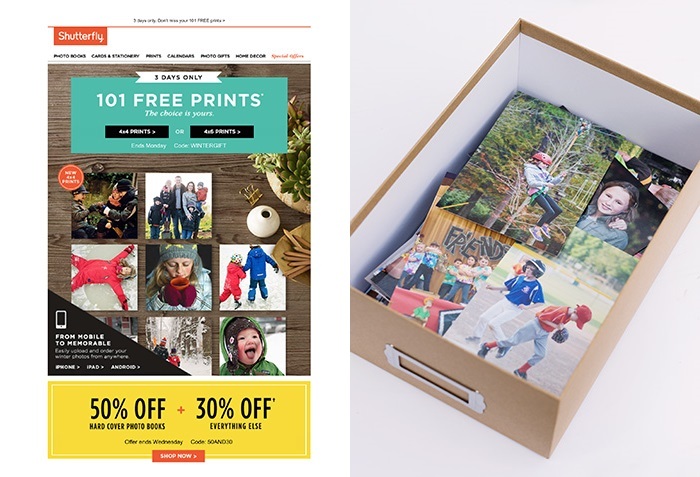 The next time Shutterfly sends you a coupon for free prints, USE IT! Yes, you pay shipping so it’s technically not free, but it’s an inexpensive way to have prints on hand for art projects, thank you notes, school requests and more. We have a family photo box with hundreds of random 4×6 prints. My kids know they can use anything in that box for crafting, assignments and more. I can’t count how many late night printing trips this has saved us. Whenever I get a freebie email, I simply log in to my account and print the last 100 pictures I uploaded (even if they are several years old). Sometimes I print the last 50 and get 2 of each. It takes about 5 minutes. Because this is just a box of extras, I’m not worried about quality or the most recent pictures I never uploaded. Keep it quick and simple. Many printing companies will occasionally offer free gifts to subscribers. Yes, they want you to try the new products and you pay shipping charges, but it’s also an inexpensive way to create something fun or yourself or as a gift for friend. 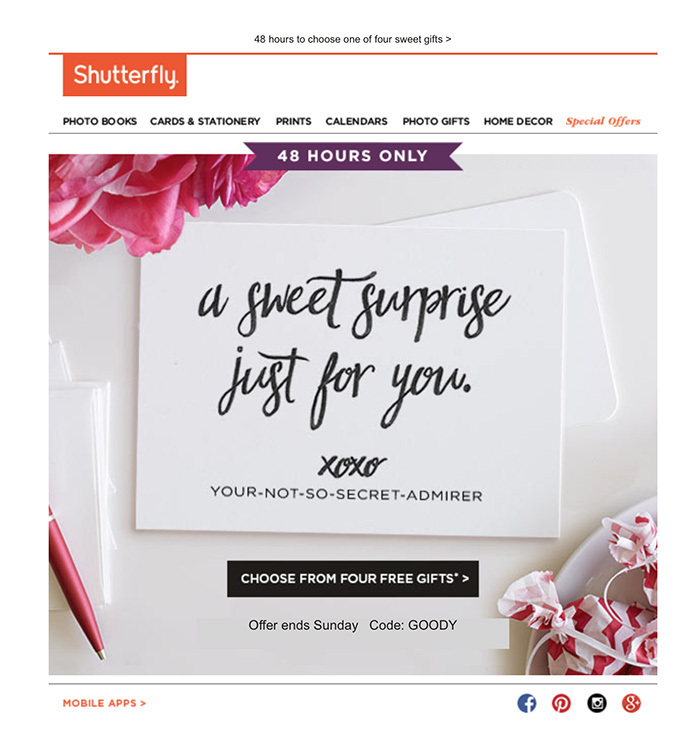 So when Shutterfly sent me this last month . 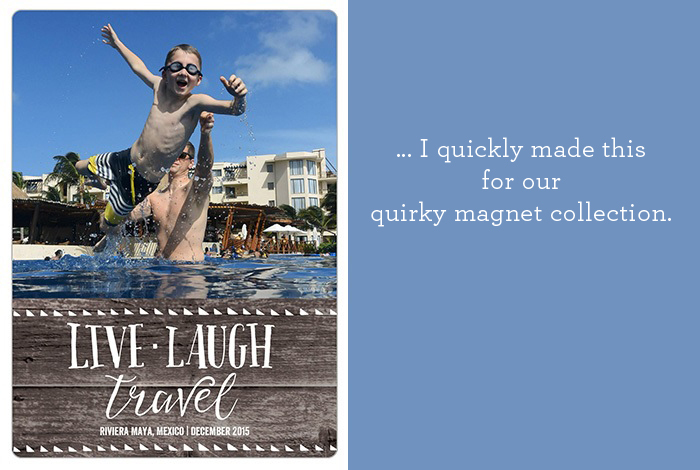 . .
Our collection is loosely based on our family travels so this picture of my husband and son in Mexico is perfect. I didn’t plan to print this picture, I simply seized the opportunity in my inbox. You can too! I’m also a huge fan of Minted’s holiday photo cards, Shutterfly’s desktop calendars and albums from both Artifact Uprising (use your NAPCP discount code if you’re a NAPCP member!) and Picaboo. But all of these printing projects require a little more time and planning. “Quick and easy” depends on your level of experience with each company, website/app, product, and honestly, your vision. 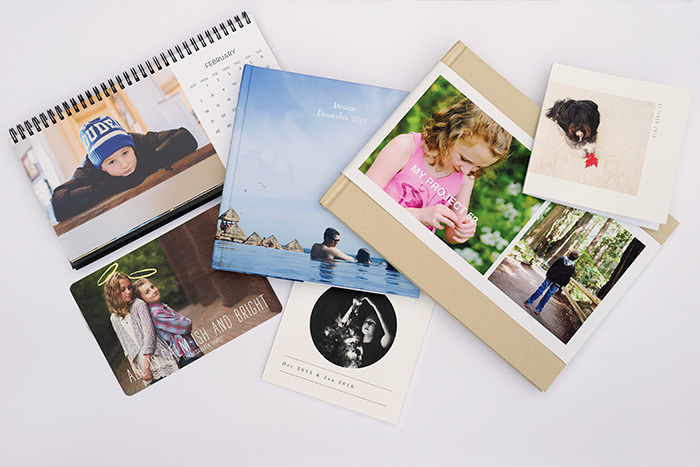 Click here for tips for creating your own photo albums. 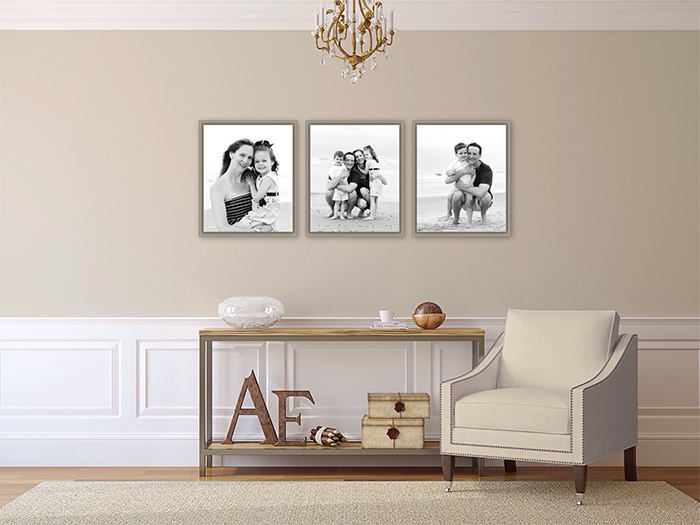 The third way to ensure you print your pictures is to simply let a professional photographer handle it. Not only is this the easiest way, it also provides the best quality and biggest WOW factor in wall art, albums, gifts and more. Professional photographers have access to the world’s best printing labs. 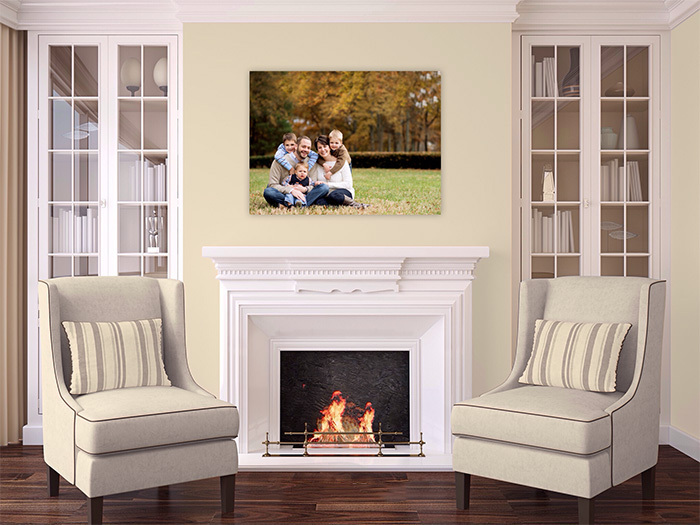 When you work with a NAPCP photographer, you can be sure quality is of the utmost importance whether you are printing a gift for grandma or a huge wall art display for your home. My child and family photography clients know that I’m a stickler for crisp, sharp images with accurate color. While I love the freebies I mentioned before, they simply don’t compare to the beauty of professional labs. That’s why many NAPCP photographers like me offer complimentary wall art design. We believe in our products and want to make printing easy breezy for you. Everybody wins. Here are two examples of my wall art design program in use. It helps me show clients exactly how different layouts and sizes look on concept walls, as well as the walls of their own home. So many people want big wall installations but have no idea where to start. Take the easy road and hire a professional photographer to handle it all. Don’t let your digitals gather dust on your desktop or phone. Print your pictures! They deserve to be seen and enjoyed. Happy printing! View Abbe McCracken’s contributor profile below, for more on Abbe — and don’t forget to follow Abbe McCracken Photography on Instagram, Like her photography page on Facebook, and add Abbe on Google+! These are great suggestions for printing your photos. I love the idea of having a box of photos printed that family members can use for projects. Wish I’d known that ten years ago! 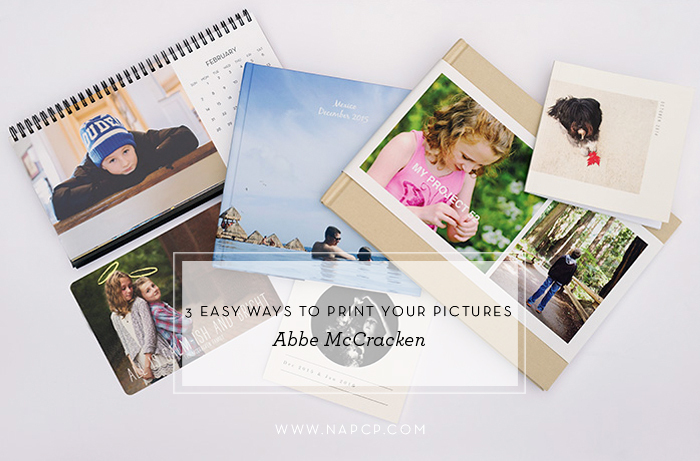 NAPCP is such a great resource for ideas for parents and photographers.